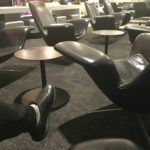 I spent all day in this lounge on my trip from Canada to Perth and back and got to experience it from early morning to early evening. The showers were clean and well stocked and the food was amazing. There was lots of it and a wide variety of delicious restaurant quality items. Offerings changed at breakfast morning tea lunch afternoon tea and dinner and all were tasty and carefully presented. An onsite barista and an assortment of beverages made a long long layover a little more bearable. The only thing lacking was somewhere to recline and get some sleep. "found the lounge to be excellent"
I found the lounge to be excellent. The showers were clean and tidy seating comfortable. The snack food including gluten-free was excellent and main course was OK. Drinks excellent. The lounge was busy but not too crowded. Probably the only minus is the very loud and frequent airline announcements which make it difficult to speak on the phone. Overall quite disappointing. The place is crowded dirty (trash on the floor seats are dirty dirty glasses and plates on many tables). The food selection is good if they have any (some offerings have been empty of 30 min now). No clean gasses for soda etc. Looks like they are trying to cut cost wherever possible. Wifi is incredibly slow. The furniture is very worn but there are spaces to go to get away from the noise down one end. The toilets have a questionable aroma though and need an update with their chipped toilet seats. Food and drink selection is fairly basic but there is usually something to fill a snack gap before the flight. My favourite is the hotdog stand. Cleaning staff are diligent and clear dishes. 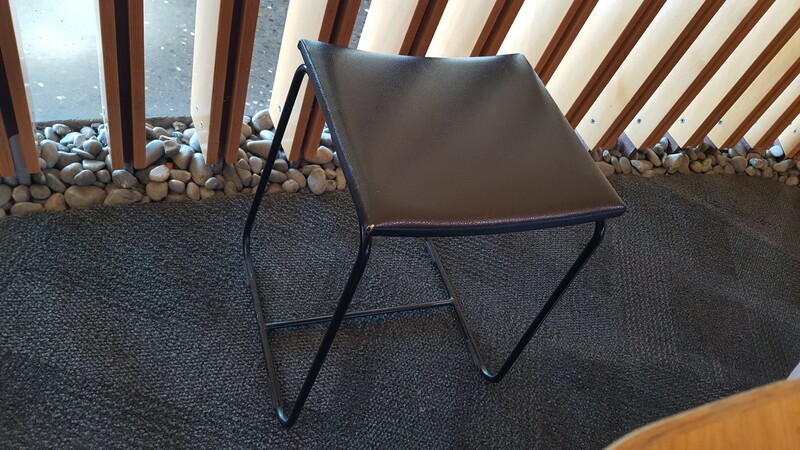 It's better than sitting on a plastic chair at the gate. I fly all the time and have been a Koru Club member for years. Things have deteriorated to the point where I feel compelled to write this review. I can only assume that there has been some serious cost cutting going on air Air NZ as the food served seems to mostly consist of whatever is cheap. It is rarely tasty or nutritious. Then theres the actual state of the lounges - they're increasingly threadbare. In fact it has got to the point where the actual airports public areas are often a better alternative. Air New Zealand has really gone downhill quite suddenly. It is a really sad thing to watch. 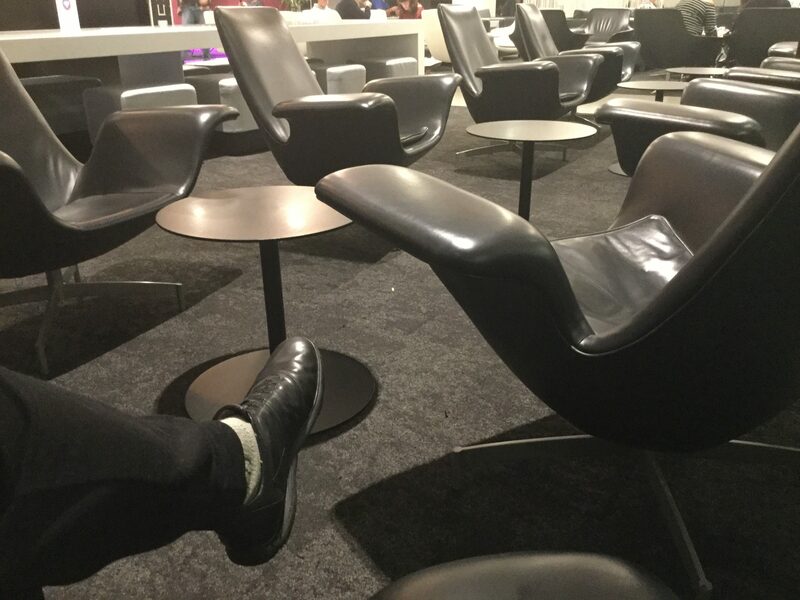 Thai Airways uses Air NZ's Koru lounge at Melbourne's Tullamarine airport. TG462 departs at 0030 and it is sad to relate that this excellent lounge has very little to offer the business class traveler at the end of the day. Eats such as they were consisted of a very tired salad bowl a few biscuits and a bowl of fruit salad. In the drinks department there was no chardonnay only Marlborough Sav/blanc in the white range and one brand of red (cab/sav). I have used this lounge on several occasions earlier in the day when it is sparkling clean with plenty of food and drinks choices. I got the impression that the staff just wanted the Thai travelers out of the lounge ASAP in order to close the facility for the day. In fact the whole of Tullamarine Airport at that late hour is a shambles. It was a highly disappointing experience. Crowded and loud noise. School holidays and full of children. Given the very permissive nature of Koru club membership and size of all the Air NZ lounges in NZ this is not a good time to be a business traveller. "a rather unpleasant experience all round"
The lounge has had a bit of an update which looks heaps better. I had the misfortune to meet the late night staff (duty manager I think) while trying to catch the Aus vs Fra rugby test before my flight to Singapore. A rather unpleasant experience all round. Not to mention the fact that she then got the departure gate staff to grill me when I boarded (as a result of the exchange in the lounge with the business lounge manager). Quite a miserable front to present to traveling public. I try to not fly Air New Zealand when I can help it amongst others for these reasons. unfortunately the Air New Zealand lounge hosts other airline business passengers so I will have to live with the luck of the draw as to who is on duty when I and others pass through AKL. Initially looked pleasant. Air con did not work properly. When I asked why I was told that they have no control over the temperature that they had complained countless times to the airport facilities management but no improvement. Food was from the buffet reminded me of a British Rail buffet carriage from the 1980's. Upholstery was in a state of complete disrepair dirty and dilapidated. If the airport outside the lounge were not such a nightmare glorified shopping mall I would not have stayed there. "there were no seat available"
This lounge is small considering the number of airlines and flights it is supposed to accommodate. 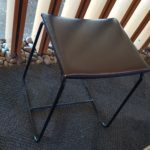 On my visit there were no seat available and I was forced to find a seat in what must have once been the business centre which is now a run down little room with a bench desk (no computers). Food options are limited but being breakfast there were scrambled eggs and beans available which weren't bad. Not a toaster in sight however. 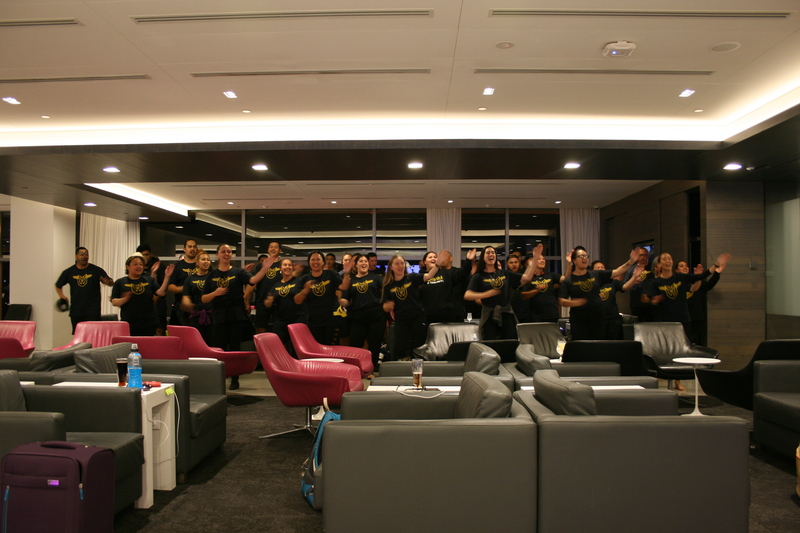 After the Auckland flight was called and those passengers had left the cleaning staff came out with portable vacuums and vacuumed for a good 20min which ensured there was no relaxation at all. This is a frequent occurrence in this lounge. Showers are available.